The Missouri River, created by geological glacial action thousands of years ago, historically has served as a gateway to the west. First used by prehistoric Indians, it served successively fur traders, explorers, and homesteaders. Among the earliest Europeans using the river were the French, who competed with the Spanish and British for ownership of the area. After buying the Louisiana Purchase from France in 1803, the U.S. set out to explore its new territory. The Lewis and Clark Expedition passed here in 1804 on its way to the headwaters of the Missouri (and eventually to the Pacific Ocean) and returned in 1806. The explorers camped near here. The first steamboat to pass this way was the Western Engineer in 1819. 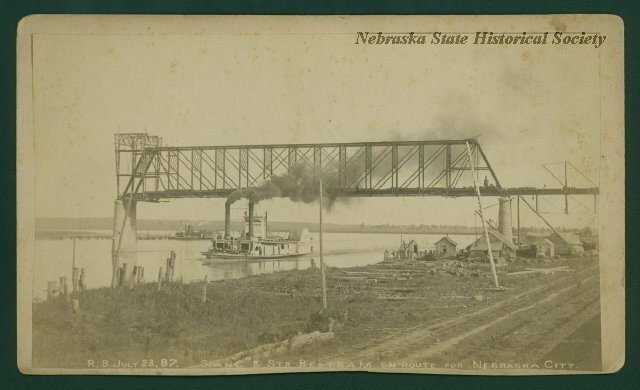 With the establishment of Nebraska Territory in 1854, steamboats hauled freight and passengers until replaced by railroads. A major railroad bridge, constructed here by the Burlington in 1887, was replaced in 1977. The highway bridge was completed in 1939. 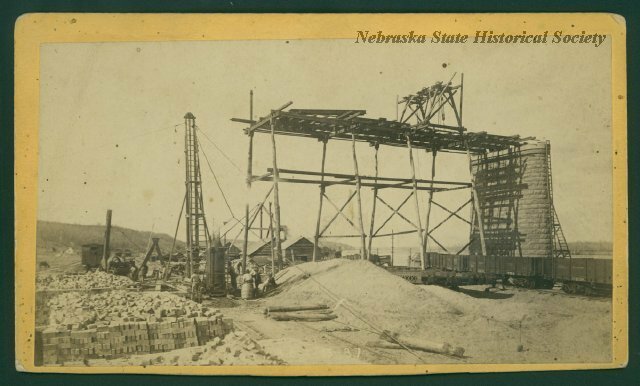 Today the Corps of Engineers maintains a 9-foot channel to Sioux City, and the river, railroads, and highways combine to serve this agricultural heartland of America. 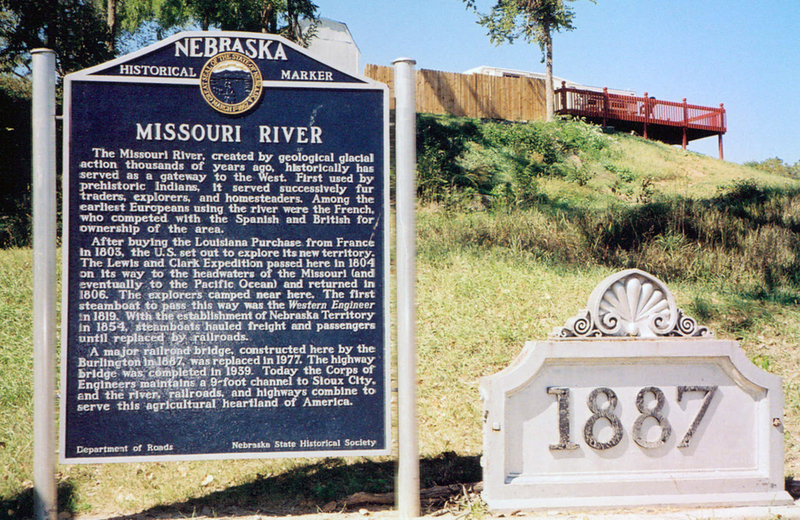 “Missouri River,” Explore Nebraska History, accessed April 19, 2019, https://mynehistory.com/items/show/431.